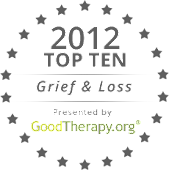 When we hear the term ‘workplace grief’, we probably think of a traditional business setting. Maybe a former employee came back and shot people. Maybe the boss dropped dead of a heart attack. Maybe there was an accident. But people make their livings in a lot of places that aren’t cubicles: baseball diamonds, stages, beaches, movie theatres, day care centers, gyms. Sometimes, by virtual of their professions, people also find themselves in the public eye. Knowing you’re going to – rightly or wrongly – be judged by the media and strangers can reasonably compound your grief for your co-worker. Last October, Dan Wheldon died in a horrific crash at Las Vegas Motor Speedway. British-born Wheldon, the two-time Indianapolis 500 winner, lived in St. Petersburg, Florida with his wife and two young children. He was 33. This weekend, the 2012 IndyCar season opens…in St. Petersburg. There will be memorials all weekend pre-race ceremony; orange ribbons (a tribute to his car) sold to raise money for the Alzheimer’s Foundation; his sister will drop the flag and present the winner’s trophy; Turn 10 rechristened “Dan Wheldon Way”. 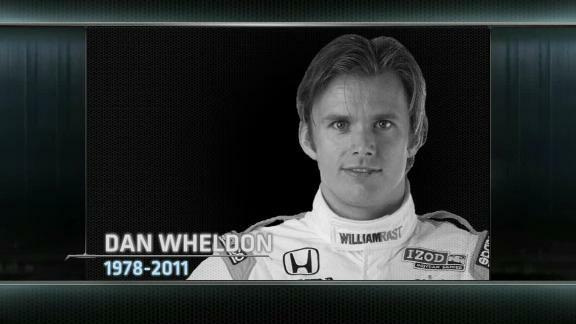 Those of us watching on TV will be subjected to repeated replays of the fiery images of Wheldon’s last moments. His friends – his co-workers – don’t have to watch the replays: many of them saw it happen from their own race cars. They now have to go do the thing they love – the thing Dan Wheldon loved. The thing they know could also kill them. Well, you say, it’s a dangerous sport. You have to be a little nuts to enjoy racing around at 220mph, knowing full well you could die at any moment. That may be true. But danger is everywhere: it’s just a little more obvious on the IndyCar circuit. Being part of a dangerous profession doesn’t exempt you from grieving your co-workers. Though not an official “anniversary” in the sense that we commemorate certain dates after a person’s death, this weekend will be a challenging one for everyone associated with racing. Kudos to the drivers for accepting the support they needed – professional or other drivers – to help them through their grief.